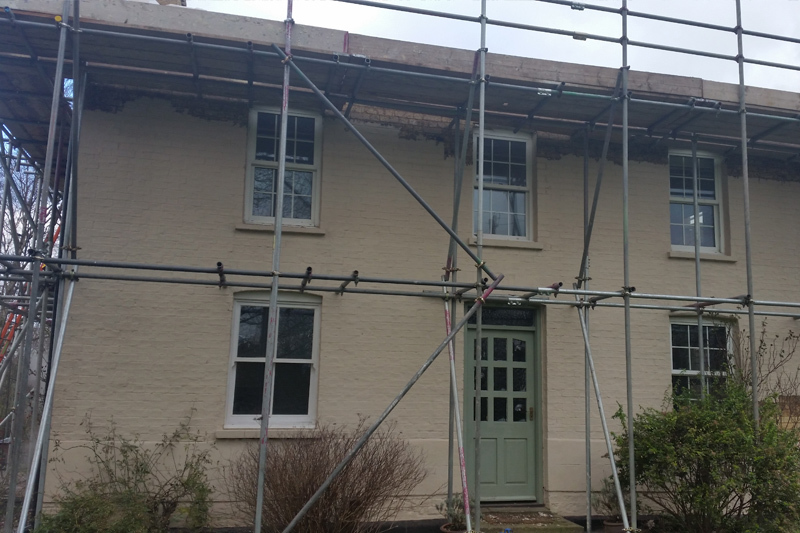 Victorian farmhouse property in rural Cambridgeshire had suffered a general lack of repair for decades. Complete roof overhaul was undertaken removing unsightly concrete tiles and replacing with slate. Chimney rebuilt and lead work replaced along with flaunching. 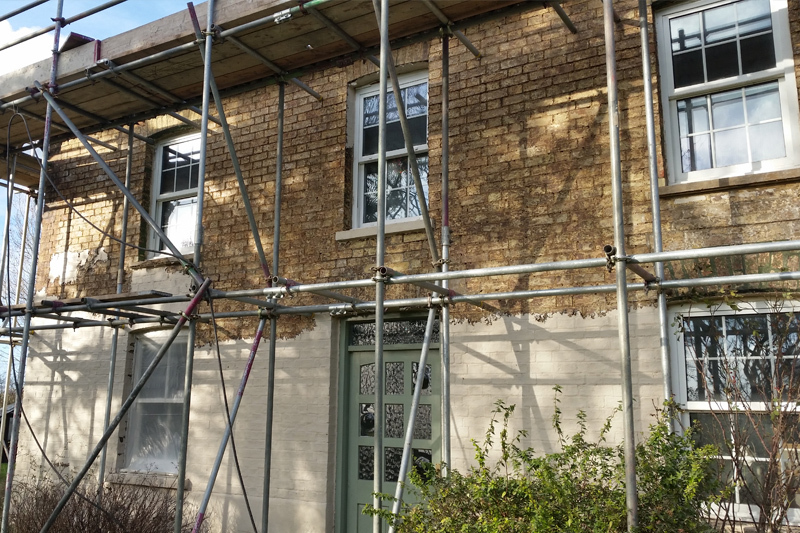 Covering the existing brick work was a layer of bitumen, smeared cement and latex paint not suitable for a single skinned property needing to breath. 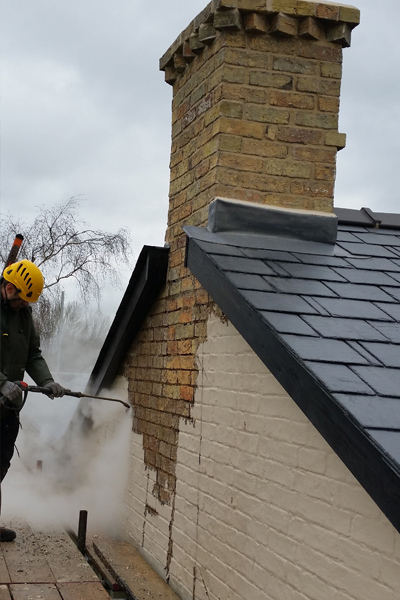 The entire paint surface was removed with the DOFF steam system along with bitumen with the help of an appropriate poultice. Beneath were discovered original gault bricks. These were cleaned sympathetically using the Stonehealth TORC blast system, a very gentle abrasive clean recommended by English Heritage. 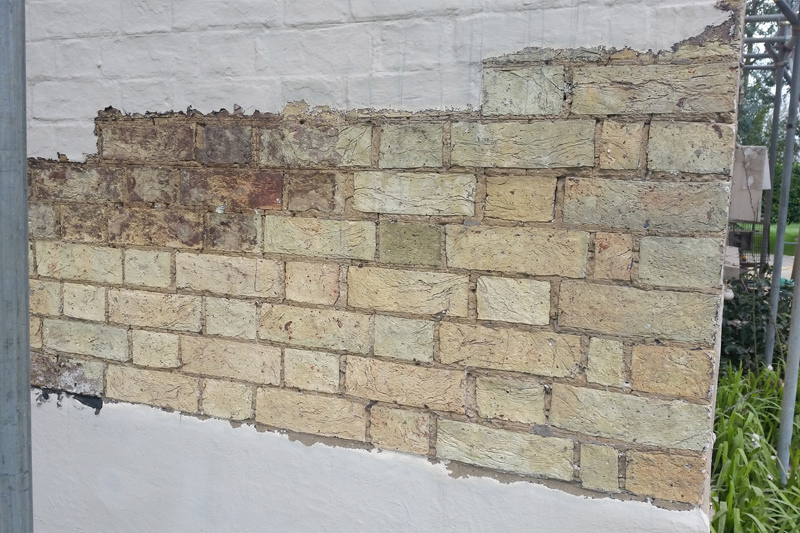 The cement pointing was removed and replaced with a natural hydraulic lime mix. 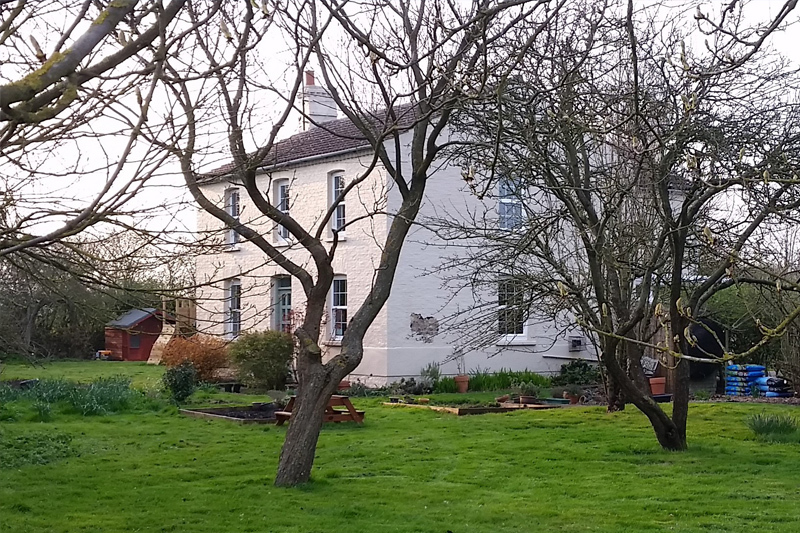 A very time consuming process, however the results were stunning and completely transformed the property.